9m – Says he supports a reasonable, not a strict interpretation of the Constitution. This is, of course, how he justifies so called “reasonable” limitations on the enumerated rights in the Bill of Rights, such as “reasonable” gun control restrictions. 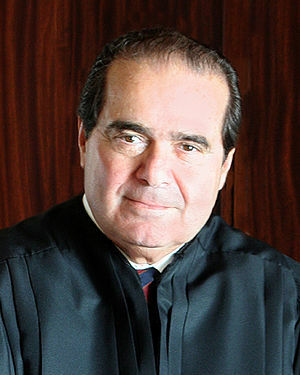 19m – His Lincoln hypocrisy on habeas corpus, in criticizing it, yet ruling in Hamdan v. Rumsfeld (2006) that habeas corpus didn’t apply to a non-U.S. citizen detained at Guantanimo Bay, in the absence of a constitutional suspension by Congress, despite the U.S. Constitution restricting the power of the federal government, regardless of the citizenship or location of the detainee. It wasn’t enough for President Obama to illegally go to war against Libya. No, he had to violate another part of the Constitution. 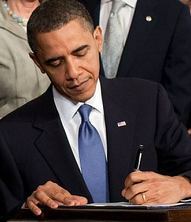 This time, by indirectly signing a four-year extension to the so-called Patriot Act with an autopen. The clear meaning of this requirement is that the bill that has passed the House and Senate, which is to be presented to the President, has to be signed by him, and only him, and not some autopen based on his order. If they can’t get the bill to him on time, then that should say something about the perils of waiting until the last minute, and about too many bills being passed by Congress. Taking shortcuts is no excuse, since the bill will become law if it’s still unsigned 10 days later (excluding Sundays). The Constitution’s language also makes it clear that line-item vetos aren’t constitutional, and the U.S. Supreme Court ruled as such in 1998, after such a provision was signed into law in 1996 by President Clinton. 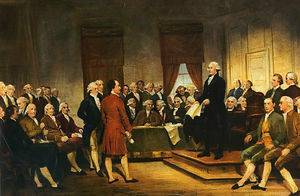 Why is it that 794 years later, in 2009, 303 million American people (the sovereign) can’t even expect a response to their petitions from their servant government of, by, and for the people, whereas 25 barons could seize any and all property from their sovereign, that they deemed proper to redress their grievances?